Mòd 2015 – Mòr, math, misneachail! Our 2015 Mòd is now over, and, as our title says, it was big, good, and encouraging! We had as many competitors over the course of two days as we’ve ever had (Mòr), the competitions were at an excellent level of skill (Math), and our adjudicator, Gillebrìde MacIlleMhaoil, left all of us with advice, encouragement, and a renewed dedication to the language and song of Scottish Gaelic (Misneachail)! Results, pictures, and video of the Mòd can be found on our Facebook page, but here are our 2015 Gold Medalists – Connie Smith and Tom Terry! Searrag Ghlainne nam Bàird (Edinburgh Crystal Decanter). Presented by Mòd co-founder Donald F. MacDonald to the winner of the competition in bàrdachd recitation at the Mòd. Duais Dhaibhidh Mhic Risnidh (David MacRitchie Award). Presented for best traditional story in Gaelic. 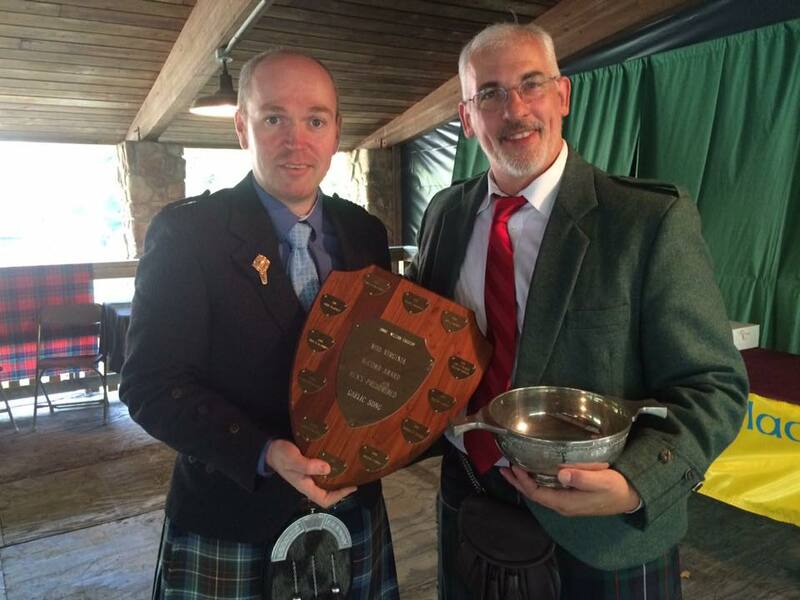 Duais Iain Mhic Mhurchaidh (John MacRae Award). Presented for best original poem submitted to the Mòd. Duais Leòdhais agus na Hearadh (Lewis and Harris Award). Presented for best performance of a Lewis or Harris song (in memory of Donnie MacLean). Herbert P. MacNeal Memorial Quaich. Presented by Clan MacNeil Society to highest scoring male solo singer (Gold Medal). 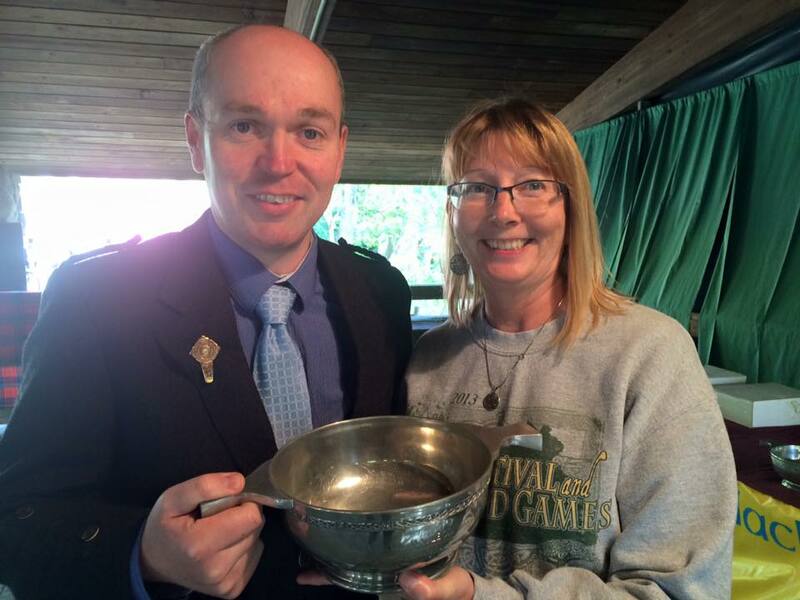 Marietta MacLeod Memorial Quaich. Presented by Donald F. MacDonald to the highest scoring woman solo singer (Gold Medal).